Go deeper to reach higher! 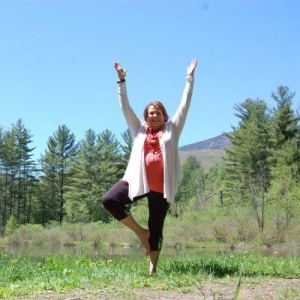 The Energetics of Yoga Advanced Teacher Training program at True North Yoga is for current 200-hour teachers who would like to build upon the fundamental concepts of teaching yoga while incorporating shamanic elements and circle work into their classes. You will explore principles and techniques with more detail and more subtlety, empowering you to teach with greater knowledge and skill. 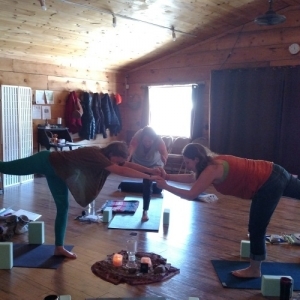 During the training, you will hone your personal expression of yoga, to teach with true authenticity. The training is divided into four “elemental” modules which you can take in any order. You may be eligible for Yoga Alliance 500-hour Registered Yoga Teacher status when you have completed all four modules and accumulated 100 hours of teaching experience, although registration is optional and you may simply take modules of interest. The Advanced Training modules invite you to clarify your powerful alignment cues, connect with various learning styles, and use your language and voice to teach effectively in every class. 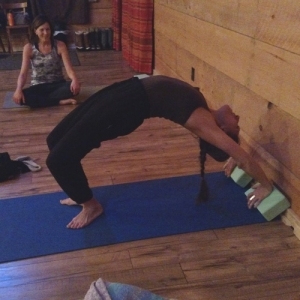 You will dig into physical and energetic anatomy to create a safe and benefical yoga practice for your students, while exploring how elements of other styles of yoga and complementary practices can bring more substance and uniqueness to your classes. The modules encourage you to truly embody your practice and embrace teaching yoga as a service to others. Each module is held over four weekends spread over a six to eight week period. Please see the current schedule below and use the links to register for each module. Please note that you must enroll in each module individually. We are limited to six participants per module, so registering early is recommended. You are ready to reach higher! Register below for one or more Energetics of Yoga Advanced Teacher Training modules. Each module meets over four weekends, from 9:00 a.m. to 6:00 p.m. on Saturday and Sunday, except the final Saturday when we will stay until 9:00 p.m. for ceremony and celebration. Attendance at all eight classes is mandatory to earn your completion certificate. Please confirm your availability and commit to the dates before registering for a module. Follow the link in each module to register and complete your application online. Note that you must register separately for each module you wish to take. Modules are limited to six participants, so please register early. These modules are only open to those who have completed a 200-hour (or comparable) yoga teacher training. The cost per module is $750, which includes all the required sessions as well as books and other materials. It is my intention to include all committed teachers who truly love yoga and want to advance without an undue financial burden. Extended payment options are available. If payment is not completed online at registration, an invoice will be forwarded upon your acceptance into the module with instructions for payment before the module begins or to make other arrangements. Registration for the 2019 session is closed. The Earth Module will be offered again in 2020. Next session will be in 2020. Dates will be announced in November. There are a number of dining options in the area, including Old Mountain Coffee next door and the Noonmark Diner directly across the street, as well as the Ausable Inn and the Rivermede Market.